This may not seem like it, but this drawing is actually vent art. I was feeling overwhelmed with a lot of the negativity I see towards various sexual preferences and gender identities, so I focused all the bad feelings into one super pleasant drawing, to give us all something nice to look at for a change of pace. 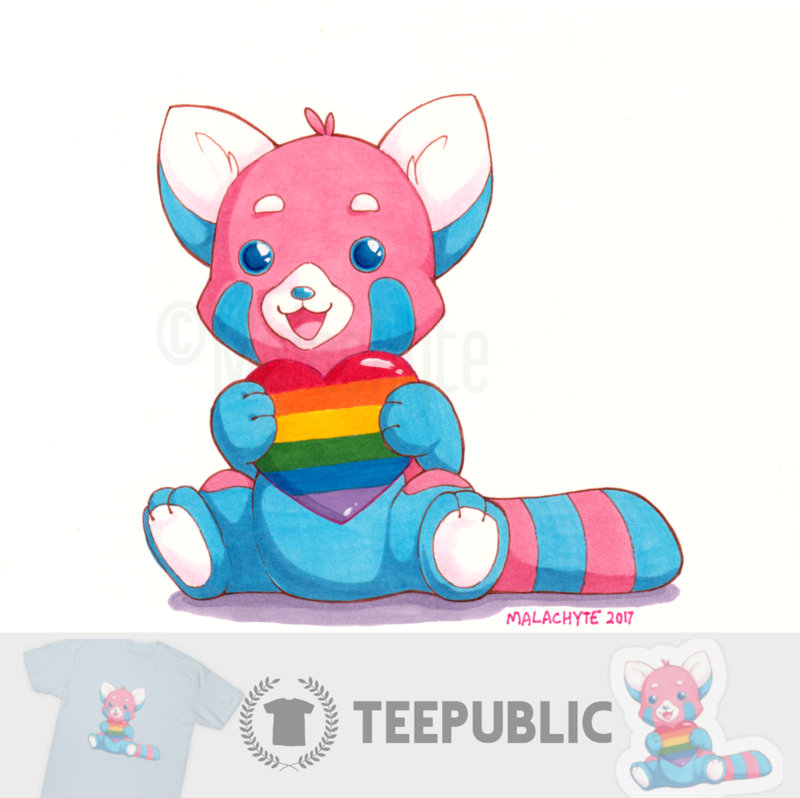 I had fun drawing something cute for cute's sake, and I think the trans pride colors looks really nice on a red panda! I decided to put this design up for purchase on Teepublic, so if you'd like to wear something subtly furry and not-so-subtly allied, take a look! They have T-shirts, as well as coffee mugs, prints, all that good stuff. I applaud your capability to turn vent art into positive things!! ♥ And I love the result! Really puts a smile on my face! Thank you! It felt really good to make something nice out of all the bad feelings, for certain.